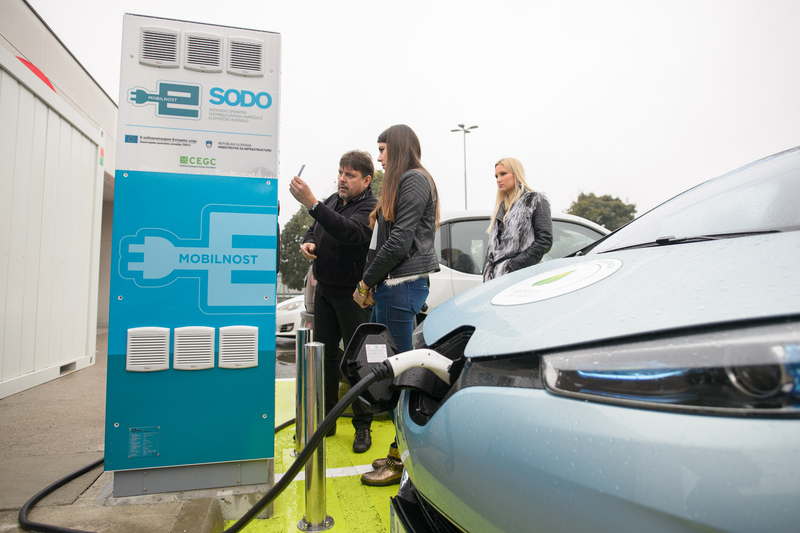 From left to right: SODO CEO Matjaž Vodušek and Infrastructure Minister Peter Gašperšič opening the first Slovenian Fast Charger as part of the CEGC project. We are happy to share with you the outcome of the very productive TEN-T days event in Riga. Innovation had a major role in the event, including the opening panel that was dedicated to different innovation pipelines (e.g. 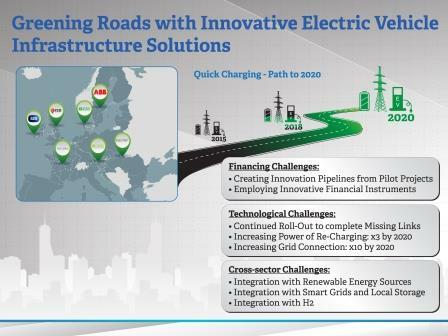 financing tools, e-mobility and LNG). Specifically, E-mobility had a substantial part in the event and created a lot of attention by demonstrating an indoor stand, dedicated workshop to EV fast charging infrastructure, and outdoor presentation of test drives and charging poles. 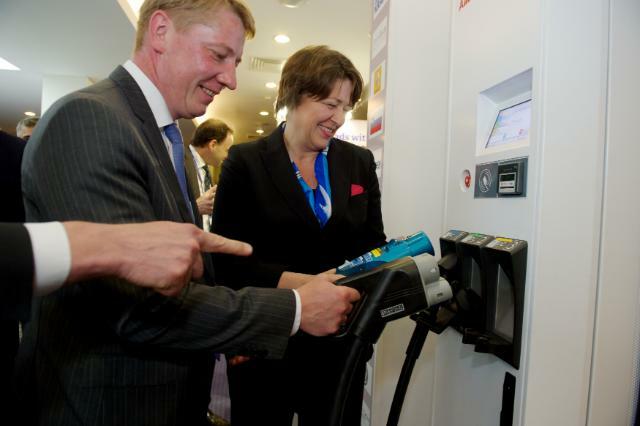 The e-mobility workshop covered the increasing need to develop a European e-mobility market. It also covered the challenges faced in creating a sustainable market for the future including issues around power limitations and energy supply as well as the need for the continued development of multi-sector consortia to ensure continued support into infrastructure from both private and public investors. Test drives were provided by different OEM partners in order to enable people to experience and drive electric vehicles, mostly for the first time. The Ten-T days, the yearly biggest policy event of Ten-T, will be held this year on 22-23 June 2015, In Riga, Latvia. This event is organized by INEA and DG Move and includes the main conference, side meetings, round tables, and projects exhibition area. networks and key messages for the future. infrastructure. These challenges included issues around power limitations and energy supply as well as the need for further development of multi-sector consortium to ensure continued support into infrastructure from both private and public investors. E-Mobility is a breakthrough innovation platform reaching out across industries. The CEGC and other EV infrastructure projects are contributing to this innovation platform. However, there is still a long way to go and many challenges ahead. Therefore, continuous financial support and close collaboration between different projects and stakeholders (energy suppliers, CPOs, MSPs and OEMs) is required in order to ensure success. Representatives from the CEGC project will participate in the event and will be happy to share more information related to the project and to answer any question you may have. We are looking forward to meeting you in Riga and we will share with you our main activities and messages from the event on our CEGC homepage. 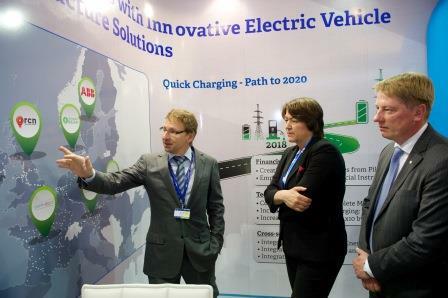 CEGC will participate with other e-mobility projects in the TEN T days in Riga (22.-23. June 2015) to present project results and learnings. 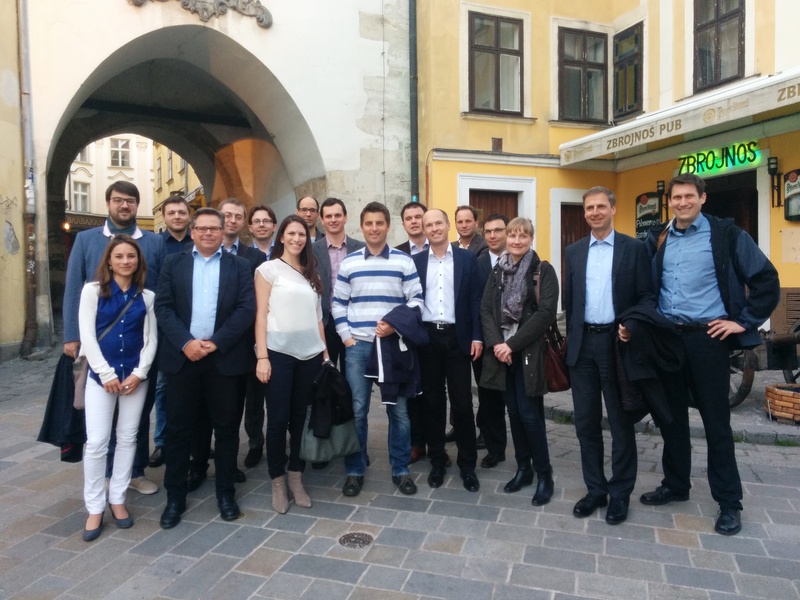 On 15th and 16th April 2015, the project partners met in Bratislava to work on study activities and discuss future e-mobility challenges. February 2015: Download the joint project press release here. 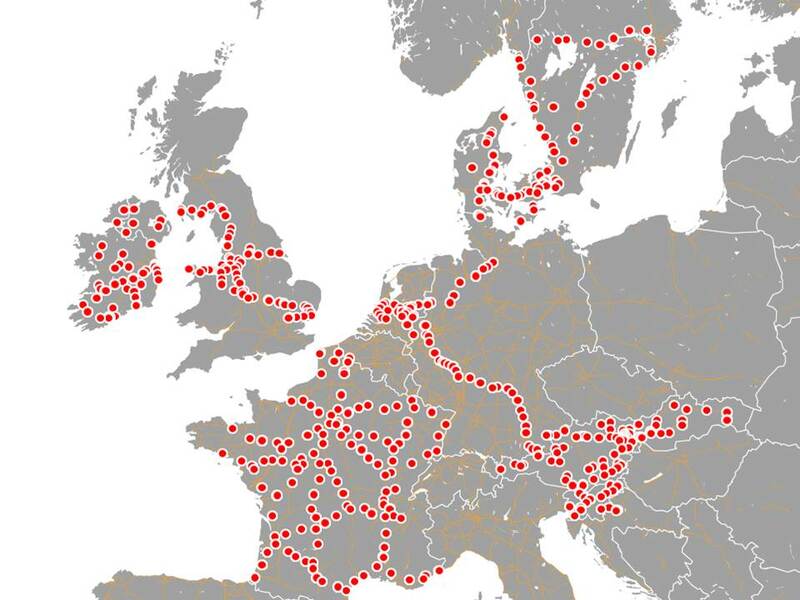 Download the Central European Green Corridors project factsheet here. On 17th December 2014, project partner GreenWay presented together with the Head of Representation of the European Commission Mr Dušan Chrenek, Mr. Luboš Ďurič, Head of the Division for Road and Rail Transportation Projects (Ministry of Transportation) representatives from BMW, Nissan, SMATRICS, Schrack Technik and ZSE the project. 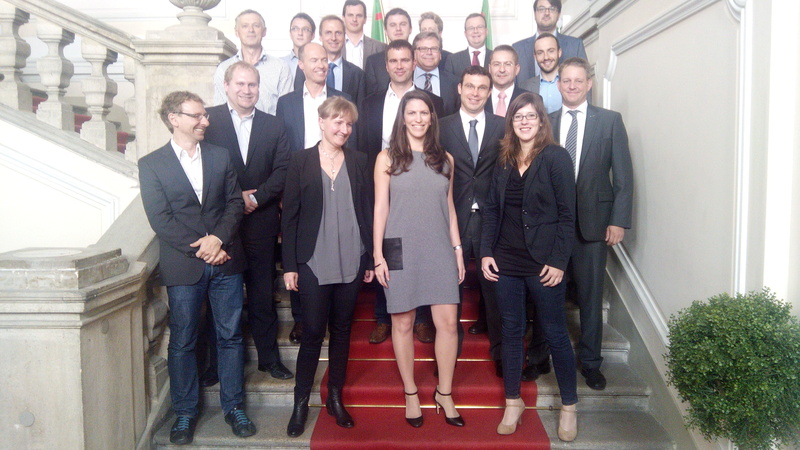 On 09th October 2014, the project team met in Vienna to discuss project organisation and content related issues. The partners agreed on organisational structures and next steps in project implementation. 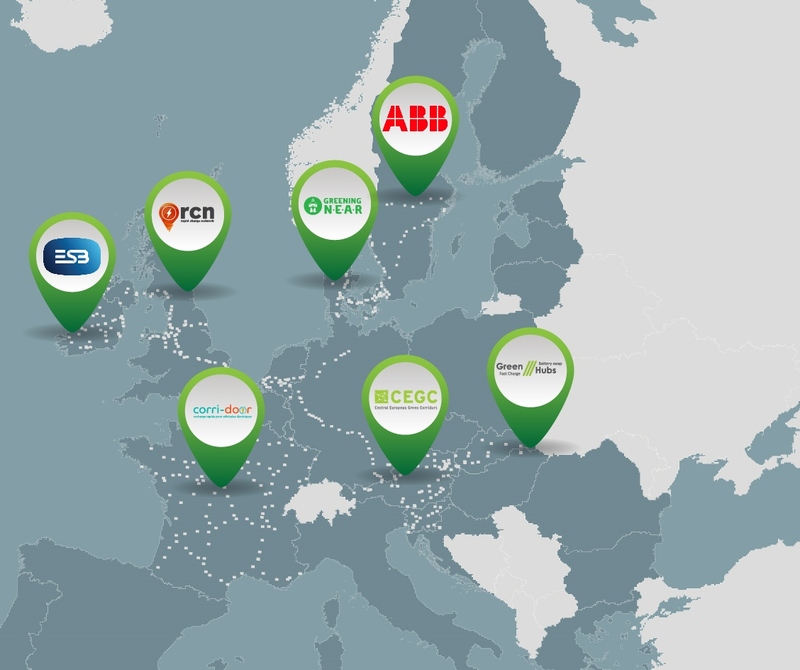 A follow-up meeting with partners responsible for implementiong the charging infrastructure in the pilot regions was also agreed upon and organised on 7th November 2014. OEM- and E-Mobility Provider partners strived for joint technical and quality standards in the project region. During an expert conference on e-mobility roaming solutions on 08th October 2014, a first announcement of the Central European Green Corridors project was organised: CEO Wolfgang Anzengruber (VERBUND AG), CEO Peter Badik (GreenWay), CEO Michael Fischer (SMATRICS), CEO Klaus Schierhackl (Asfinag) and CEO Theresia Vogel (Climate and Energy Fund) discussed the future of e-mobility in Austria and Europe. R&D as well as innovative projects like CROSSING BORDERS, Green eMotion and Central European Green Corridors are a major leverage to speed up the roll out of e-mobility in Europe. The press release is available for download here. 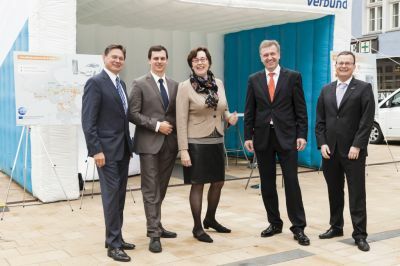 From left to right: CEO Anzengruber, CEO Badik, CEO Vogel, CEO Schierhackl, CEO Fischer.